Everyone’s heard of a keyword, but do you really know what a keyword is? In Episode 9 we’ll break down the definition of a keyword, and what that really means for you when it comes to getting traction in search engines like Google and Bing. We’ll also talk about how to use free Google tools to research keyword ideas, and how to choose the best keywords for your website. Jesse: You guys keep talking about keywords. What are they, and how do I even know what I should be doing with that? Hey, everyone. Welcome back to Local SEO Tactics. I’m Jesse Dolan, joined with Bob Brennan, and just like each week, we’re here to share with you some tips and tricks to help you grow your local service business online, and rank at the top of search engines. This week, we’re going to be talking more about keywords. The last few episodes, we’ve talked about how to build webpages, how to approach your website, and construct all that, and we’ve probably referenced keywords as a phrase dozens, if not a hundred times, and we definitely want to jump back into it for this week, and start talking about what are keywords, just to make sure everybody really understands that, and really flesh it out. 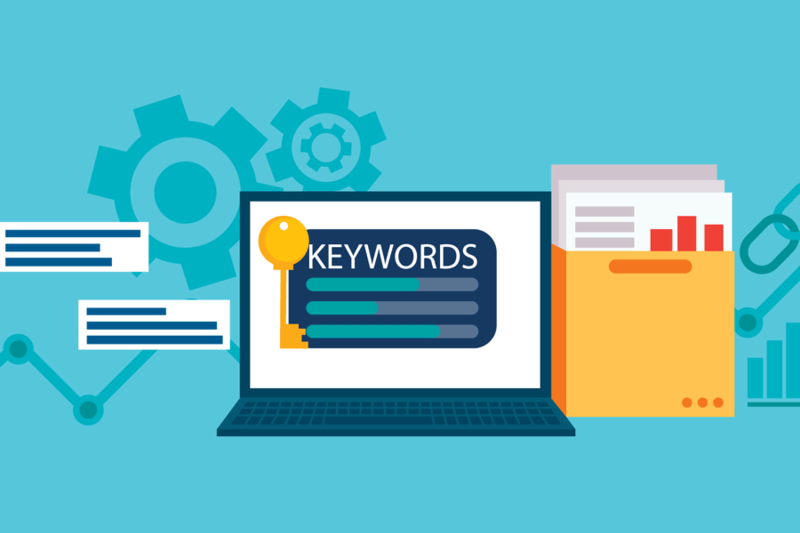 What we mean when we say keywords is, it’s whatever people are typing into Google, to search for the products and services that you want to be found for. Think in previous episodes, we’ve talked about oil changes, right, for a vehicle service station. If oil changes, that’s two words. That’s a keyword. We use the phrase keyword very loosely. It can be a phrase or words. A question we feel is, “How do I know what keywords to pick?” You guys keep talking about keywords, what are they, and how do I even know what I should be doing with that? Bob posed the question a few episodes ago, of how many webpages does your business need on average, which is kind of an open-ended question and answer there, that you can get. For any given page, you want to go after one to two keywords, but for your site in general and for your business, it’s whatever your products and services are. If we use our example of the service center, if you provide oil changes, radiator repair, transmission repair, those are all keywords. Now, any individual page on your website, you’re going to want to focus on one of those phrases, or you can have a couple variations in there about that, but at the end of the day, that’s what we’re talking about, is one product or one service niche, and that in turn becomes the keyword that you’re going after. First place to start, just start making a list of what it is that you sell, or what it is that you service, and you’re going to have a great headstart on it. What you don’t want to do is get trapped by the curse of knowledge. All of us in our businesses, we have different phrasologies and keywords that we use to describe things. That doesn’t mean that’s what the person on the other end of the keyboard is going to be searching for–Joe consumers, so you want to make sure you take that into account. Bob Brennan: Yeah, you know, recently we had, you’ve heard this in other episodes, but my furnace went out, and when it’s twenty below it’s not a good thing. So I typed in heater repair, where the industry person says “I work in the HVAC industry”. Now, inside the industry you’re going to use the term HVAC, and you know maybe a lot of consumers are going to use HVAC. I personally typed in furnace repair. So furnace repair is an example of that. So, with your keyword search, basically, you know you want to be deliberate about those specific search terms and how you go about doing that. So, linguistics is, I guess, the phrase you want to study here and really kind of sit down and say “okay, how would I phrase it, and then how would my clients phrase it?” Or, my – and you can really get nitty gritty with this, depending on their income how they’re going to phrase it. Not that you want to get into that, but in some situations you do because you want a certain clientele. Jesse: Absolutely, the more research and thought you can put into choosing these keywords is going to be very important because this is what you’re crafting your message around. This is what you’re intending to be found for. A good example of how to put that into real world practice is, it’s all about context, so falling back onto your furnace repair, for example, there’s furnace repair, there’s furnace service. I mean, what am I doing here? Is it an emergency? Is it emergency furnace repair? Different words before and after that core product or service that you’re wanting to promote definitely come into play for who the person is, why they’re searching for it, and what their situation is. Bob Brennan: And how you’re going to design your landing page. So, obviously in your furnace example, if it’s furnace or emergency furnace repair, obviously that landing page better to speak to hey, you’re going to be there on this with it, and that’s how your going to craft that specific page. Jesse: Going back to like we talked in previous episodes, about how to craft your webpage for conversions. It’s one thing we want to pick our keywords and develop our pages to be found in the search engines. Can’t overstate that enough. Once somebody clicks on there, we want to turn that into business, so you’ve got to speak to their context, using the words that they would use, using the phrasology and the contextual situations that they’re in. If somebody’s looking to make a decision right now, today, they better darn well be able to contact you, and take that action, and you’ve got to be there to, of course, receive that as well. If you’re not conveying that, in this case, again, we’ll fall back on the emergency furnace repair. If it doesn’t look like it’s fast service, or you’re not talking about a 24/7, or be there in one hour, or things like that, even if you’re ranking high for that emergency furnace repair, you’re not going to get that business, or at least the opportunity to get that business without a phone call. All of them. It would be the answer. As all of them, you can create multiple pages for furnace repair. If you’re on your website, and at your main menu, you’ve got the services you provide listed, your water heater repair, furnace repair, things like that, if that’s what you do. You’re not going to want to have three different buttons, one that says fast furnace repair, one that says 24/7 furnace repair, and one that says emergency furnace repair. You’re going to want to pick one of those for the primary page that’s listed on your website that people will navigate to. You can also create pages for those other keyword phrases. Those won’t be found when people navigate your website, but they will be found when they’re searching in the search engines. I think the kind of progression we’re trying to at least stumble through, however affectively we are here or not, is start with the products and services that you sell, that you offer, and then you got to widen out from there. What specific brands are you providing service on or you’re selling, what situation is the person on the other end of the keyboard in, for some other phrasology they’re going to be using, an expedited emergency next day, things like that. You start mashing those things together, and one keyword can turn into a dozen or multiple dozens of possibilities. You may even be thinking to yourself, “Well, it’s all furnace repair.” It is all furnace repair, but people are looking for different things, and just like we’ve talked in previous episodes, again, when we’re talking about these keywords, you’re using these keywords in these phrases in your headlines, your images, you’re saving your image files as you incorporating these keywords, the page text. You want to have these keywords mixed in three to four times. You want the title of the page, and the name of the page is incorporating these keywords. Again, you’re going to have multiple versions of these pages, attacking a similar niche, like the furnace repair, but don’t be afraid of that. A little disclaimer here, too, if you have your base page furnace repair, and you want to make nine variations of it, you can’t just copy and paste everything. You can’t duplicate the content. That ain’t going to work. That’s going to sabotage everything. You want to recreate those pages, but you can start with the same template. Here’s the things I know I want to stress: how many technicians do I have, when am I going to get there, how to make customers feel when I’m done with the service. You want to relay those same things, but you’re going to have to craft some unique content on each page to not be duplicating it, but you’re absolutely going to want to go after all those different variations on the keywords. Once you have got your complete list of what you refer to things as, what the industry speak is, and what that voice of the customer is (or at least your best assumption), before you go to town and create these pages, you’re going to want to go out and see what is the most popular. Eventually, you’re going to want to optimize and go after all these keywords, but if you only have so much time in the day, as we all do, you’ve got to start somewhere, and where should you start? In most situations, it’s going to be the most popular keywords. I can’t think of anything offhand right now where you want to attack the lower than first, you usually want to go for what’s the most popular. Whatever your strategy is going to be, the best tool out there is the Google keyword research tool. It’s completely free, and you do have to sign up for a Google ad words account for that. We’ll put a link in the show notes. The actual URL for that is adwords.google.com, and you’re going to go there. If you already have an account, great, otherwise you got to sign up for an ad words account. If you’ve already created, like we’ve talked in previous episodes, your Google mind business pages, use that same Google login. Whatever your Google profile is for that, use the same thing, but you got to go to adwords.google.com, set up an account there. Once you get in there, you go into the Google dashboard, there’ll be a little wrench, like a tool, is what they’re trying to say. A little wrench icon up in the top right corner. Click on that. Under the planning section, which is usually all the way to the left, you’re going to look for the keyword planner tool. Click on that, and just start typing in some of your keywords. If you already have a list, copy and paste them, or I believe they’re comma separated, so you know, furnace repair, comma, heater repair.